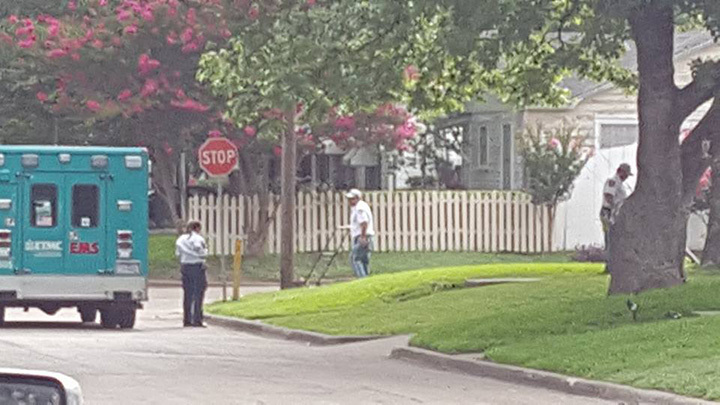 A crew of emergency responders in Waco, Texas, stopped to help an elderly woman who they noticed was struggling to mow her lawn in the hot sun. According to a neighbor, 98-year-old Margaret Durham still regularly cuts her grass, but the EMT crew who was between calls saw potential danger and decided to pitch in. “She’s elderly and looked exhausted, she was in a dangerous slope of the yard, possibly could fall and lose control of the lawn mower and injure herself – the need for us to intervene was there,” one of the emergency responders told Fox 5 Atlanta. Durham’s neighbor, Dashlin James, was working on his car and captured the act of kindness on his phone.